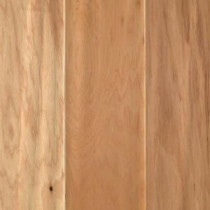 Buy online Country Natural Hickory 3/8 in. x 5.25 in. x Random Length Soft Scraped UNICLIC Hardwood Flooring (22.5 sq. ft. / case) 32483-10 and leave review or share with Your friends.